To make this prestigious list, a par 3 has to stand out. 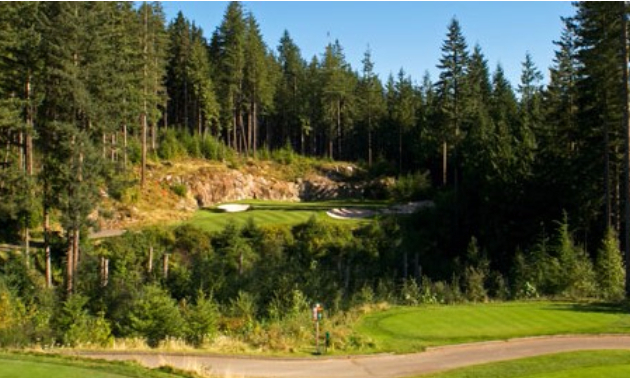 When it comes to selecting the best par 3 golf holes in British Columbia, it is highly subjective and no two golfers could ever agree. 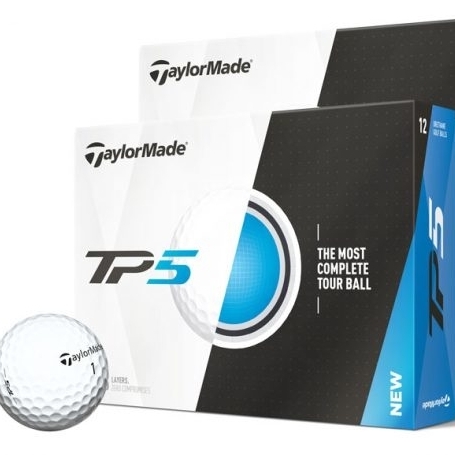 To make this prestigious list, a par 3 has to be a standout, such as the Floating Island Green at the Coeur d'Alene Resort Golf Course in Idaho or The Coliseum, the fully enclosed hole at the TCP Scottsdale in Phoenix, Arizona. 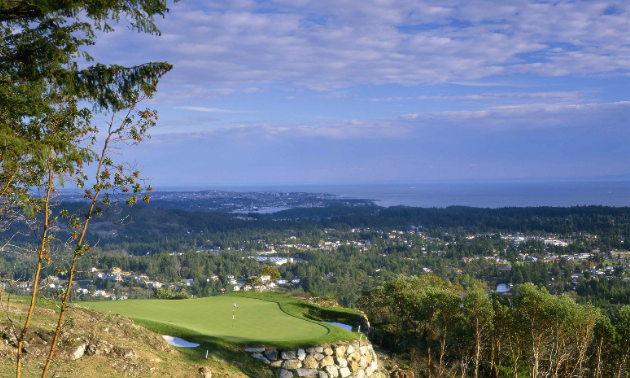 In our province, there are 247 golf courses that range from public, resort and private courses to the Pitch and Putt in Stanley Park. Once the nine-hole courses and the 27-hole courses are factored in, the approximate number of par 3 holes to select from climbs to 916. The next step is to apply the criteria to the outstanding holes, which include playability, aesthetic value, quality of greens and sand traps, and enjoyment to play. Good par 3’s can define an entire golf course, because they are usually the signature holes and their photo is often found on the scorecard or web page. Courses built on mountainous terrain allow golf architects to be more creative, producing unique holes. In selecting the best par 3 golf holes, my experience comes from courses played across the province over many years. Each hole is measured from the back or pro tees to the centre of the green. The 16th hole at Guildford is called the Augusta hole, which is the 12th hole in Augusta, Georgia, site of the Masters. From the back tees it is 154 yards, hitting downhill to a narrow green, guarded by water in front and a large sand trap and hills behind the green. To the left of the green is that stone bridge, making for an ideal signature hole. Hit your ball to the back left corner to avoid the water. This Fred Couples-designed course is located near the top of Turtle Ridge, overlooking Kalamaika Lake. The 15th and 16th holes are located in a bowl, with Hole 16 a difficult par 3 at 176 yards. It is necessary to carry the water to a narrow and undulating green. Hit to the right of the big tree. The cart path and bridge to the green are unique. Tobiano has been voted the No. 1 course in B.C. and rated No. 13 in Canada, a nice tribute to architect Thomas McBroom. 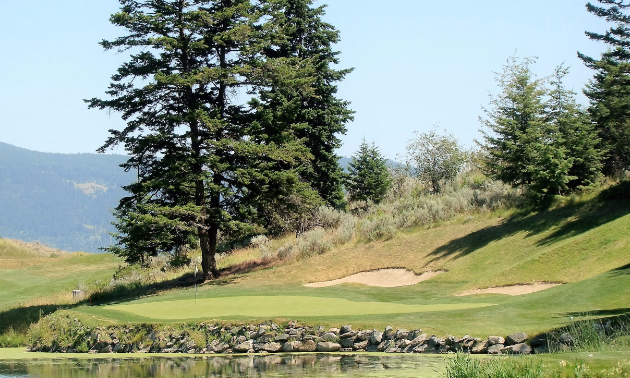 This course has several par 3 holes to select from, but Hole 15 at 155 yards has a great view of Kamloops Lake and is playable for all golfers. Keep to the right on the green as the ball breaks to the water. This resort course is part of the North Star Mountain Ski Resort. A Les Furber design, its signature hole is the picturesque 11th hole. At only 174 yards, golfers have to deal with a 50-foot drop to a sloped false front and a green guarded by three bunkers. Enjoy the view but do not be short off the tee. There are two Jack Nicklaus-designed golf courses as part of the resort. The best par 3 is Hole 14 on the Mountain Course. Just the view of the City of Victoria towards the Inner Harbour and the Strait of Juan de Fuca is worth the green fee. At 165 yards from the back tee, the hole is very playable but hit the green, as there is little room for error. 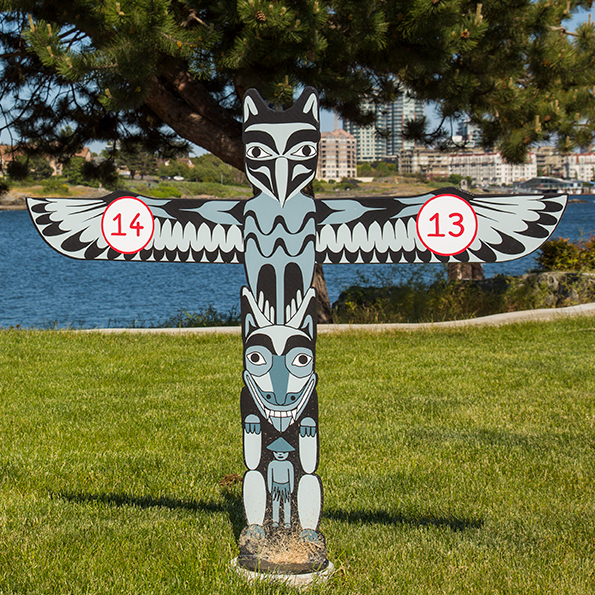 Talking Rock refers to the pictographs of the descendants of the Little Shuswap Indian Band who own the course. 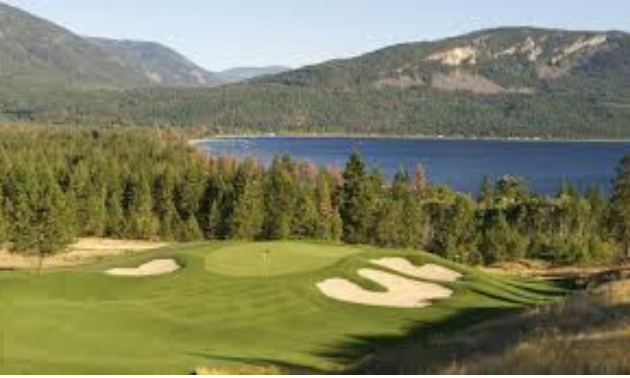 Wayne Carlton designed the course with four good par 3 holes, but Hole 15 at 210 yards is an excellent hole, with Little Shuswap Lake as the backdrop. Play the ball short and avoid going over the back or to the left. 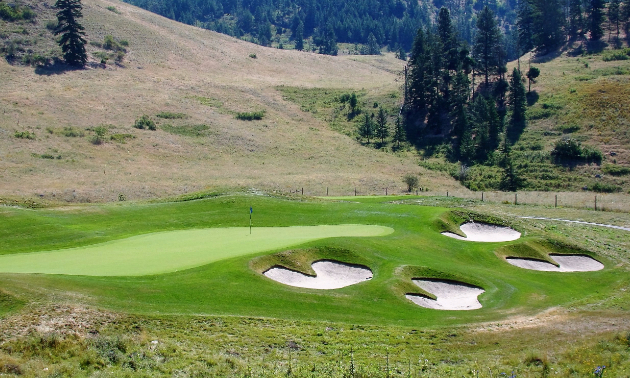 Westwood Plateau, designed by Michael Hurdzan, has a couple of par 3 holes to select from. Hole 12 is only 162 yards but is over a gully and creek. A large granite wall wraps around the back of the green, with the forest engulfing the hole. This is an enjoyable hole but do not gamble by bouncing the ball off the granite wall. This course is the No. 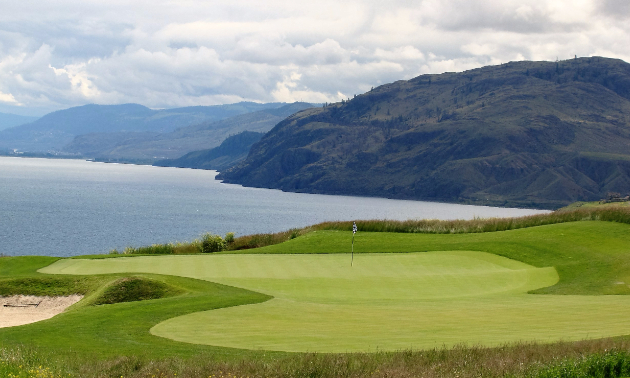 1 course in Kelowna, selected by the PGA of B.C. Golf architect Thomas McBroom built the course on the side of a mountain with drastic elevation changes. There are several par 3’s to select from, but Hole 12 is the best at 199 yards. It is necessary to carry the gully, avoid the four traps and stay on the elevated fast green. 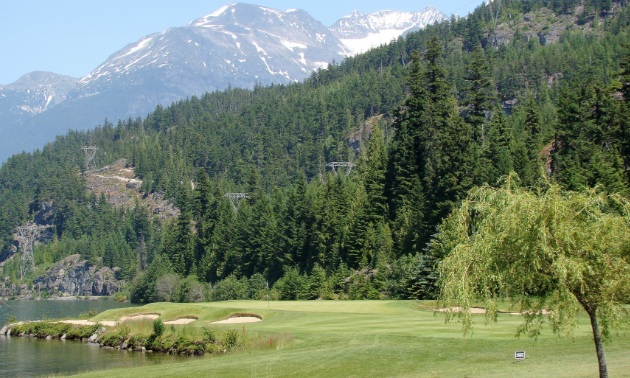 Any of the three golf courses in Whistler, combined with Big Sky in Pemberton, has challenging par 3 holes. Hole 17 at the Jack Nicklaus-designed course is very picturesque and plays long. From the back tees, the hole is 226 yards, with Green Lake and bunkers to the left and the Blackcomb Mountains in the background. Play the hole short and rely on your wedge and putter for a par. 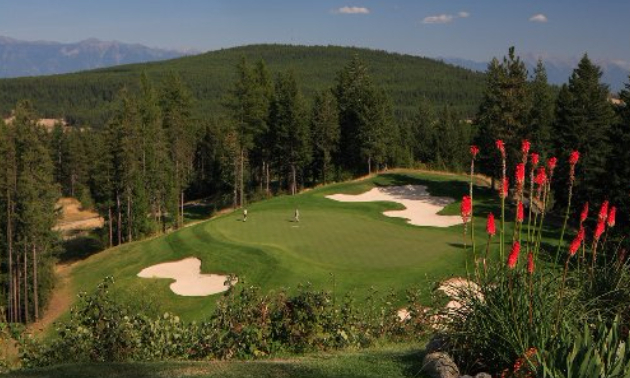 The best par 3 hole in the entire province is adjacent to the Panorama Mountain Village or ski resort. 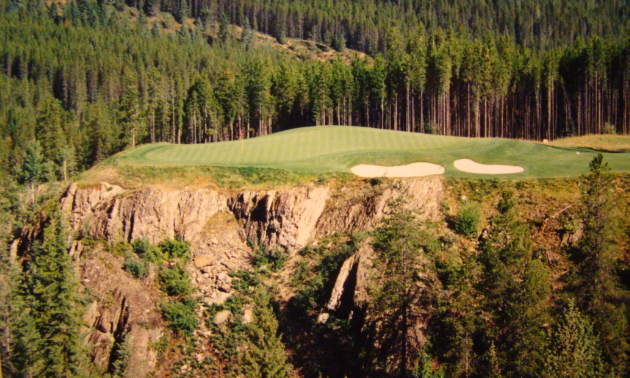 Designed by Doug Carrick, the course climbs up into the Purcell Mountains before dropping down to the sixth hole. This breath-taking No. 1 signature hole is called the Cliffhanger, with the tee box on top of a precipice and 200 yards across a deep canyon. To add to the intimation factor, there are two sand traps guarding a small undulating green, but hit the ball over the sand traps for a par. 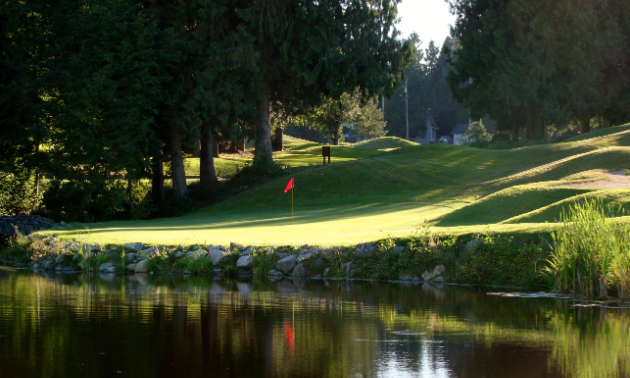 The following par 3 holes receive Honorable Mention: Predator Ridge Resort Hole 5, Furry Creek Golf & Country Club Hole 14, Canoe Creek Golf Course Hole 3, Northview Golf & Country Club Hole 16 and Eagle Ranch Golf Resort Hole 16. There are many good par 3 holes to play throughout the province, so putting together your own list should prove to be an enjoyable task.